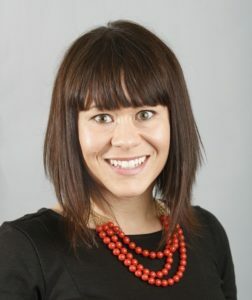 Erin Rice came to work at Pine Tree Society in 2000 as Communications Director following a year of AmeriCorps VISTA service supporting special children’s initiatives under then Governor Angus King. As Pine Tree Society’s Marketing and Development Director, and then As Chief Development Officer, Erin has raised millions of dollars to support the annual operations of the organization. She led a successful $6.6 million capital campaign to modernize Pine Tree Camp’s 285-acre barrier-free campus on beautiful North Pond in Rome, Maine. Erin was recognized by MaineToday Media as one of Maine’s Forty Under Forty in 2012. She is the co-founder of the Southern Maine Autism Conference, an event that attracts more than 500 attendees annually, and has served on the boards of the Maine Marketing Association and the Maine Public Relations Council. Erin has a special interest in nonprofit leadership, management, strategic planning and development. Erin holds a B.A. in Political Science from the University of Maine, where she was a Maine Public Policy Scholar and an intern for Senator Olympia Snowe.